About a week ago, the New York Times ran an article detailing Fox News’ treatment of the notorious t.v. host, and the allegations of sexual harassment plaguing O’Reilly and the popular television network. The Times noted that at least five women were paid by the network to settle their sexual harassment claims to the tune of $13 million. The claims themselves stemmed from former Fox News employees who worked with O’Reilly, or were guests on his show. Many claimed that O’Reilly made unwanted sexual advances and vulgar comments to them on multiple occasions. Yet, some of the alleged behavior was not so explicit. A few of the women claimed that O’Reilly attempted to pursue sexual relationships with them, and due to his position at Fox, they felt compelled to acquiesce in fear of losing their jobs. Since breaking the story, according to the Times, Fox News has taken a less than valiant approach. According to the article, the network attacked the credibility of the accusers, stating that none of O’Reilly’s accusers used a known hotline to complain about the t.v. host, even though they could do so anonymously. Yet, others are not so quick to dismiss the allegations. In a subsequent article, the Times noted that many of Fox’s most prominent advertisers were pulling their ads from O’Reilly’s show. 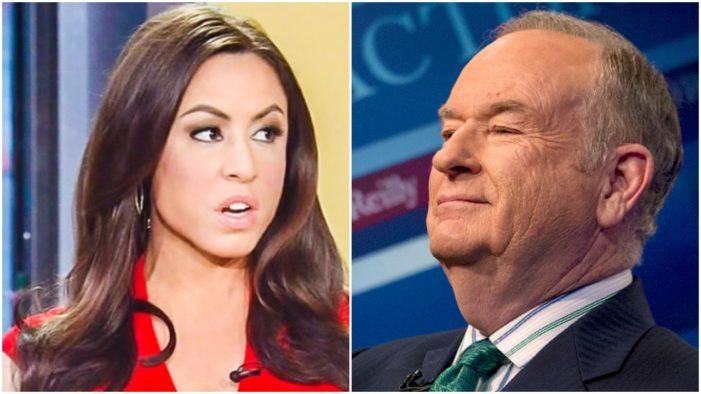 In addition, the Times reported that at least three women in the Fox newsroom questioned Fox’s leadership and commitment to maintaining a respectable work environment. 1) Your settlement terms may be confidential, but the events surrounding it are probably fair game. Often, the terms and amounts of settlement are protected by confidentiality and non-disclosure agreements. However, the events surrounding the settlement—including the accused’s prior conduct with former employees—may not be. It is important for small business owners to thoroughly confer with their attorney to discuss what information is protected by a confidentiality clause, and information that is available to the general public. Coming out ahead of a potential sexual harassment suit may save your business from negative publicity, loss of morale, and employee fallout. 2) You may owe a duty to your clients to disclose sexual harassment. Just like the advertisers who pulled their business from Fox News, clients are wary of being associated with businesses which may negatively impact their image. It is important for small businesses to immediately contact their legal team to review client contracts in the midst of a sexual harassment claim. Often, certain contracts require full disclosure of events which may materially affect ongoing business. For businesses that depend on a pristine and trustworthy image, an un-disclosed sexual harassment claim could violate an otherwise solid business relationship. 3) A thorough investigation is definitely warranted. There is no doubt that O’Reilly brings in a flood of viewers for Fox News, which is why some are surmising that Fox’s tepid response is really just a way to buy time to investigate just how deep these allegations run. It is important for small businesses to also investigate thoroughly. Failure to do so could expose a business to claims of negligence or vicarious liability. In addition, most sexual harassment claims are investigated by the local equal opportunity commission which will diligently look at a businesses’ attempts to rectify and correct any possible harassment. Most importantly, businesses should aim to ensure that the work environment is safe for employees, and communicate the ways in which they will cultivate a safe workplace. 4) Brush up on your First Amendment law: Social media tends to play a big role. The O’Reilly ordeal is taking the Twitterverse by storm. Not only are supporters and challengers trading legal jabs via tweet, the public is keeping a close eye on commentary. Though corporations and business entities are protected under the First Amendment, small businesses should strictly scrutinize what communications are made by the company via social media. Contractual conditions may require that the terms of a sexual harassment settlement, or the events surrounding it, may never be discussed with other persons. Though businesses may wish to address allegations, they should only do so with a sound understanding of their obligations under the settlement. 5) If your company doesn’t have a sexual harassment policy, now’s the time to make one. Don’t ask don’t tell? Zero tolerance? Boys’ club? The biggest takeaway from the O’Reilly scandal is that businesses MUST have a sexual harassment policy. First, creating a policy apprises everyone of the duties they owe to one another, as well as the conditions necessary to maintain their employment. Second, in the face of an allegation, a sound policy ensures that companies take sufficient steps to investigate and adjudicate any sexual harassment claims alleged. Third, if the allegation moves to litigation, a sound policy is essential to insulate businesses from potential liabilities that come with a sexual harassment suit. Lastly, as millennials begin to enter the workforce in droves, many look to see whether businesses embrace and address women’s rights issues as a part of their corporate platform. A solid sexual harassment policy not only ensures that millennials feel safe in the workplace, it demonstrates that your business aims to effect change at a local level. For more information, or to create a sexual harassment policy for your business, please contact McNamara Law Firm, PC, LLO.